Summer is finally here, and with little ones running around our feet, ice cream is becoming a daily occurrence in our household. Keen not to deny them ( and ourselves) the sweet taste of summer, we've found some plant-based, vegan recipes to tempt you with. 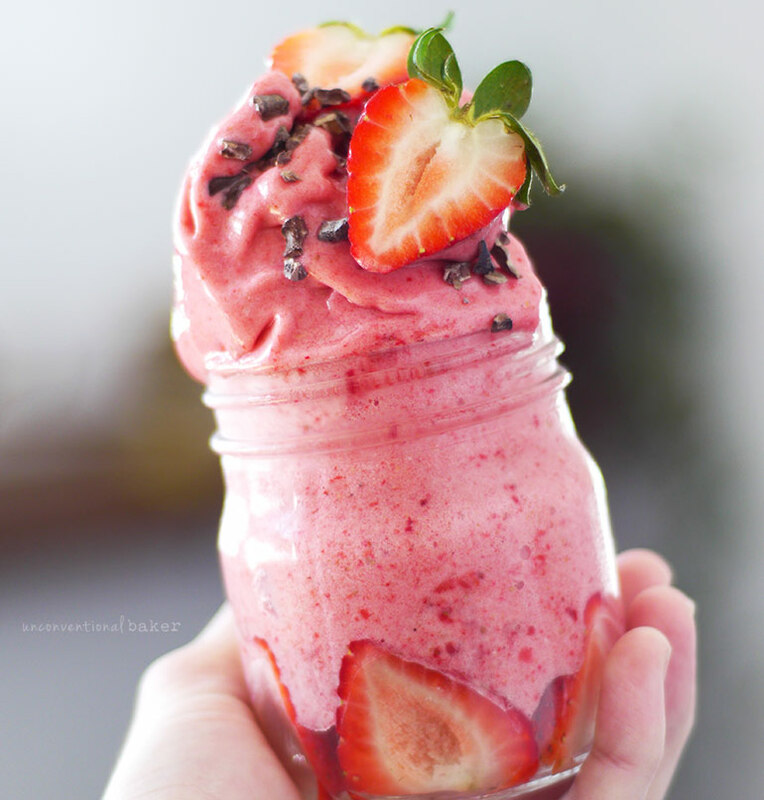 They are so healthy you needn’t just dream of ice cream, but wake up to it for breakfast. ‘Nice’ Cream, is simply frozen banana whipped to perfection and adorned with healthful additions. Not only is Nice Cream picture perfect, it can be made in minutes, and is a delicious and nutritious alternative to a Mr Whippy. The kids will love making this; customising their own, and eating their 5 a day with a smile. This wonderful recipe from The Minimalist Baker, marries the warmth of exotic spices with the chill of frozen coconut milk; transporting you to paradise in a lick. Turmeric adds the sunny glow to the dessert, and has been widely praised for it's anti inflammatory properties. When combined with ginger, cinnamon and coconut milk, you not only get a taste sensation, but also a potent kick to your health. Vegan 8’s blog is a compilation of Vegan Recipes, using 8 ingredients or less. 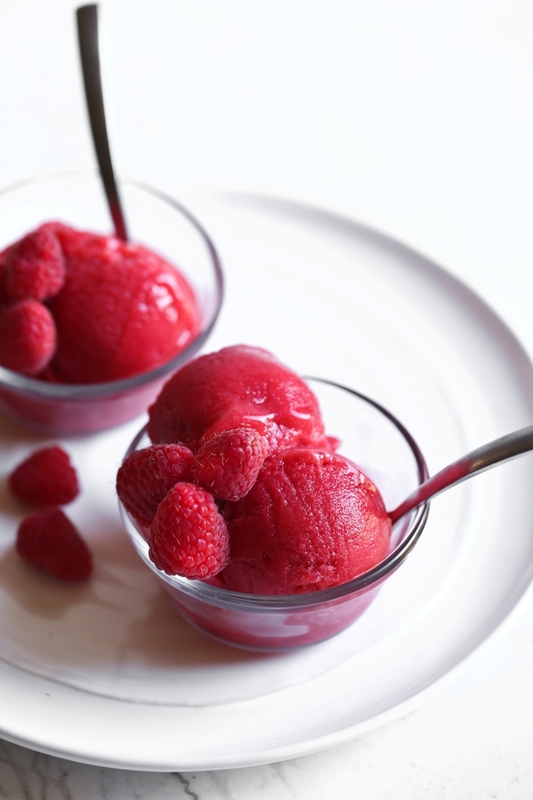 This sorbet is only 5, and substitutes refined sugar with maple syrup. It can be made with any fruit, but we like the refreshing tartness of the raspberry, especially if topped with The Minimalist Baker’s 2 ingredient Coco Magic Shell. 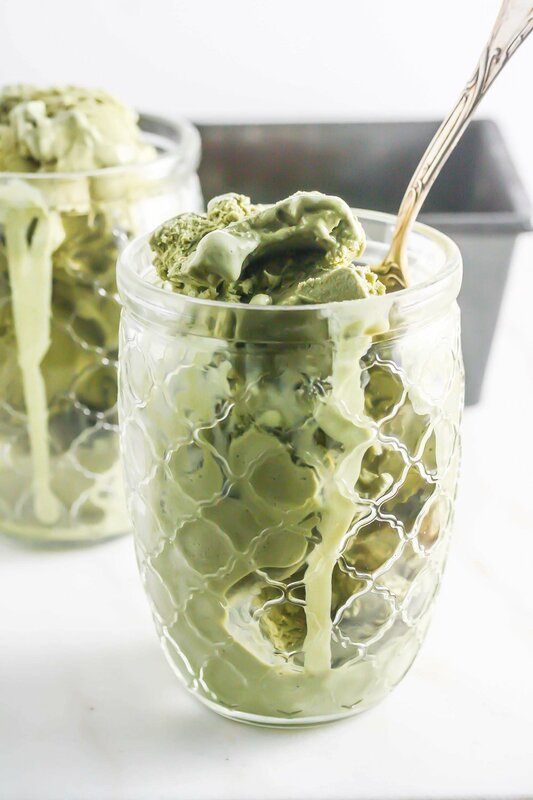 This serene, green dream, is an antioxidant powerhouse thanks to the presence of Matcha; powdered green tea leaves. Matcha boasts more antioxidants than almost any other superfood and has 137 times more than regularly brewed green tea. Japanese Monks used to drink Matcha to aid their meditation practise, and modern science has now confirmed this tradition, by detecting in the leaves L-theanine. L-theanine is an amino acid that stimulates alpha waves in the brain, leading to a state of relaxed alertness. With so many vegan mylks available why not try experimenting with, and adapting the above; adding your own superfoods, and sugar alternatives. Ice cream needn’t be a guilt ridden dessert, but one that can be a nourishing addition to your diet; a vehicle for adding some vital vitamins into your family’s diet. Enjoy ice cream daily and get that summer glow year round.